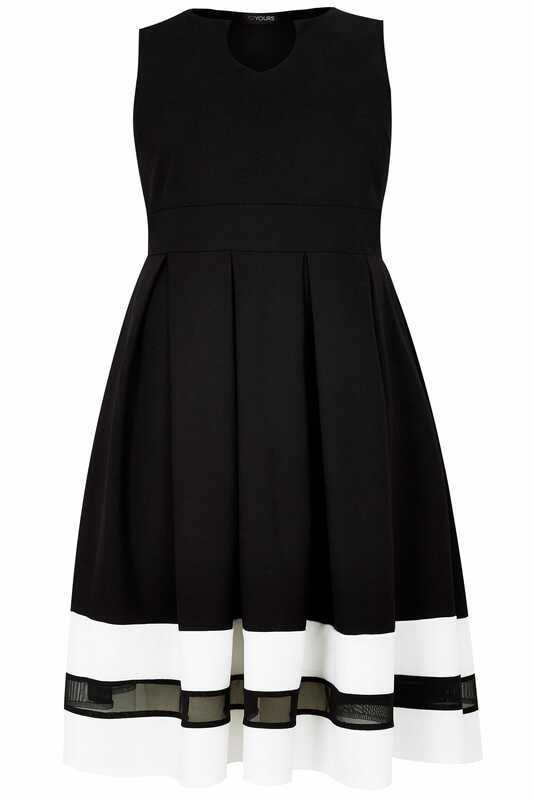 Refresh your party wardrobe with this chic dress. Perfect for after-dark styling, its skater style is cut to a knee length and features a contrasting hem with a mesh insert. Team with high sandals and a clutch bag to complete the look. 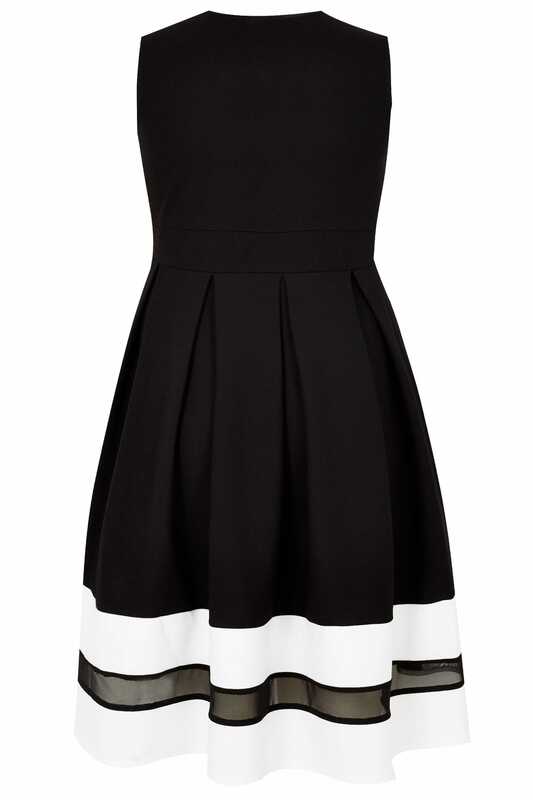 We love the monochrome colour palette - so on-trend this season.